Latest BMD desktop package and drivers. Picture shows up in BM Media Express, but no image in Wirecast 10 and 11 (Ultrastudio shows as source and even shows correct raster size and frame rate, but no image). Am on HP Omen 15" laptop, Windows 10, BMD MiniRecorder via Thunderbolt. I get picture in Media Express and OBS, but not Wirecast. Am using demo version, but can't see a reason to buy if it can't see sources. Am going to try 5th full shutdown and reboot to see if that helps. Wirecast > Help > Send Support Information but click on lower left Reset Preferences and restart Wirecast and test in a new document. Having kind of the same issue here.. Black Magic Web Presenter, IMac Pro(Mojave) Wirecast 10.1 and 11 both will not recognize the input from the presenter. It doesn't even show up in the list of available option in the video capture tab when trying to add a new shot. The FaceTime camera also does not show up. Both FaceTime and Web Presenter are working in OBS and if I go straight to YoutubeLive or Facebook Live both are available and working. We've been using this setup on this iMac Pro and an older iMac for over a year now with no issues. Then last week our normal document showed a red question mark in the shot for BMWP.. created a new document and no change. CraigS Thanks! This worked perfectly, and I never would have found it on my own. Josh Bumgarner Make sure you can see input via Black Magic Video Express or Desktop (not sure which Web Presenter uses). If BlackMagic software can't see the device, then you'll need to check software/firmware updates first. If they can see it, then try the Wirecast 11 reset that Craig suggests - it worked for me. thanks for the reply Chris.. firmware is up to date.. BMWP doesn't come with any software.. its just a webcam pure and simple. 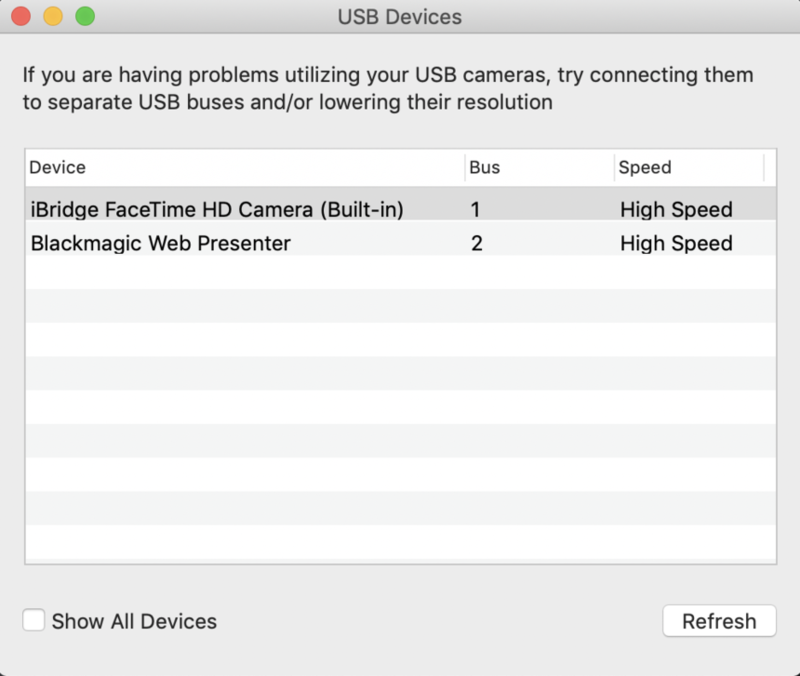 Everything else on the Mac sees it, including the system report under USB.. have tried thunderbolt3 input and usb-c, unplugged everything else and gone into each USB port separately now to no avail..
what's interesting is that under the window tab in Wirecast I can click show all usb devices.. and its there right under the FaceTime camera. thanks for the reply Chris.. firmware is up to date.. BMWP doesn't come with any software. 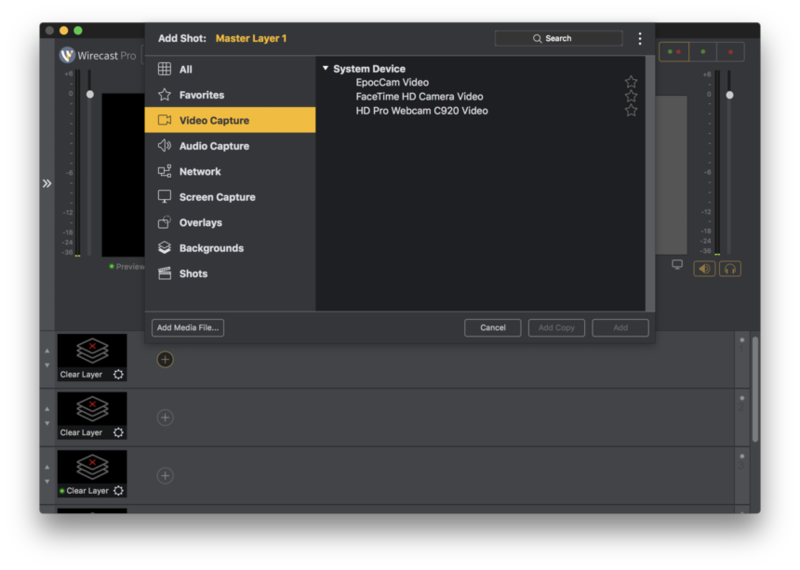 All Blackmagic capture device downloads come with Media Express. It has nothing to do with Wirecast. it's their own program. If you downloaded their driver you definitely have Media Express. CraigS super confident answer but no.. the web presenter is not a capture device and the SD card that comes with it does not in fact have media express on it. Josh Bumgarner Then this wouldn't be the same kind of issue despite similar symptom to original poster. We've tested Web Presenter and once the firmware was updated it did work with Wirecast. Since you're on iMac you should be seeing FaceTime HD Camera Video as well under video capture. Perhaps there's another issue in this, not specific to Web Presenter. Try an external webcam and see if Wirecast 11 sees it. Perhaps try reseting Wirecast Preferences. 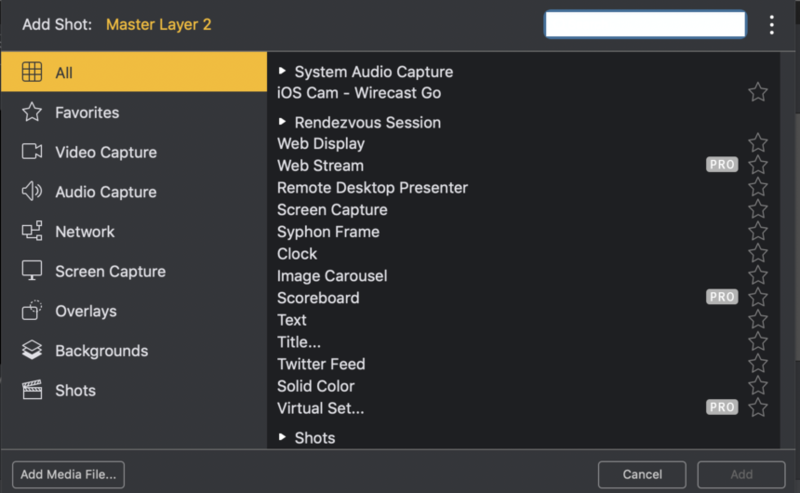 Wirecast > Preferences > Help > Send Support Information but select Reset Preferences and restart Wirecast. For example, I see FaceTime, my external C920 and my EpoCam virtual webcam. but mine still keeps comming up. i use macbook pro (macos high sierra Version 10.13.6 (17G65), wirecast Pro (already did the update from 8.1, not the solution) i use black magic mini ultra studio , on SDI. also last update. the black magic mini recorder works fine. image visible in BM media express. also can select and use the signal in a lower version of wire cast but if i try it wirecast pro. it gives me a black screen. don't no what to try or check anymore. princedickson2003@yahoo. I use MiniRecorder on two different computers with 10.13.6 without issue. Make sure you're on Wirecast 11.1.1. To properly delete preferences go to do Wirecast > Help > Send Support Information but select lower left Reset Preferences. 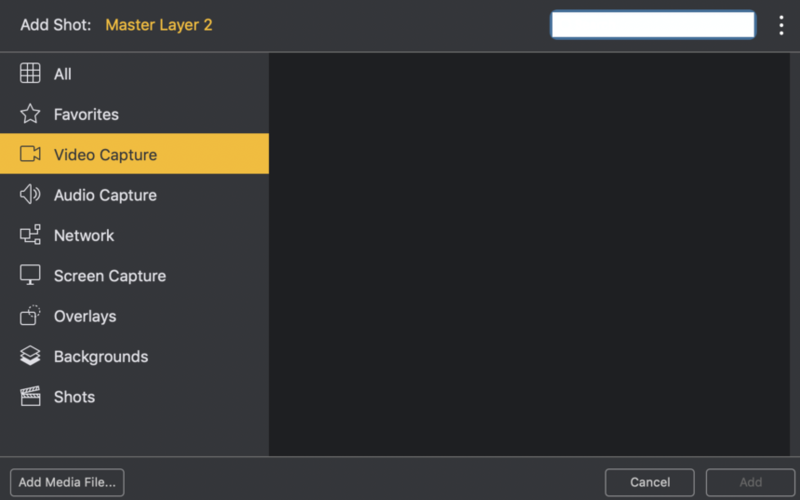 Restart Wirecast and test in a new blank document. Also make sure no other Thunderbolt devices are attached. Reboot the computer. Check in Media Express to see if video is visible there. princedickson2003@yahoo. it was a permissions issue on my iMac Pro that ended up being my issue. The upgrade to Mojave required me to check a few boxes and then all was right with the world again. My Black magic studio 4K switcher however did end up having to go back to black magic for repair and they sent me a replacement. The HDMI out for the multiview was in fact bad. Josh Bumgarner Thanks for that update. princedickson2003@yahoo. You're welcome of course.